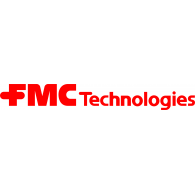 Today, the EVP, Technology and R&D of TechnipFMC PLC (NYSE: FTI), Bradley Beitler, sold shares of FTI for $601.8K. Following Bradley Beitler’s last FTI Sell transaction on February 22, 2016, the stock climbed by 5.0%. FTI’s market cap is $13.72B and the company has a P/E ratio of 83.33. Currently, TechnipFMC PLC has an average volume of 2.22M. Based on 5 analyst ratings, the analyst consensus is Strong Buy with an average price target of $36.50, reflecting a 22.9% upside. The insider sentiment on TechnipFMC PLC has been positive according to 32 insider trades in the past three months. This sentiment is slightly higher than the average sentiment of company insiders in this sector.